Rockport's Amanda Thurston, founder of Pink Armor by Amanda, can personalize her hand-made items with a message. 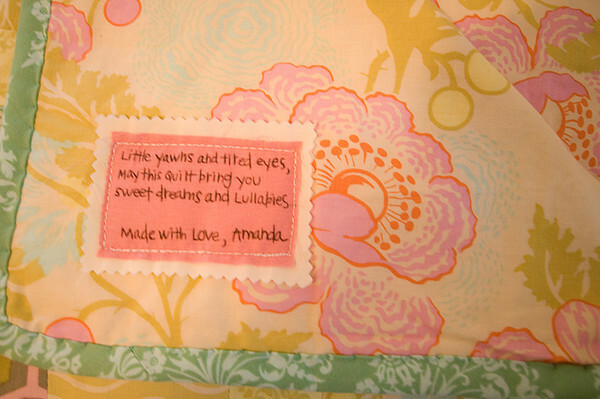 Pictured here is a custom-made baby quilt with a personal message. Quilts, $45.